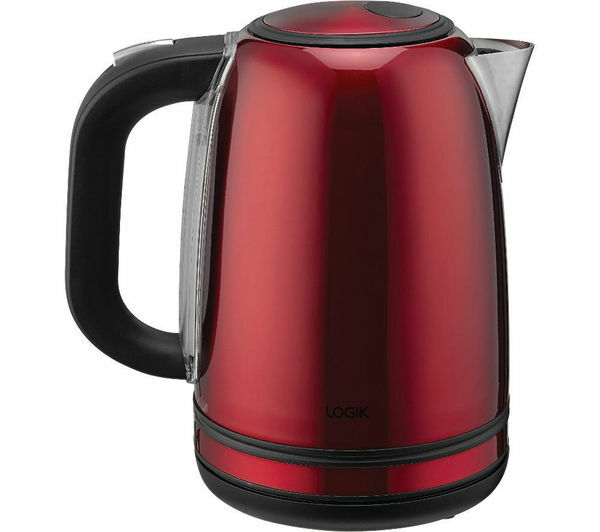 With its striking stainless steel exterior with black accents, the red Logik L17SKR14 Jug Kettle will look great in any kitchen. 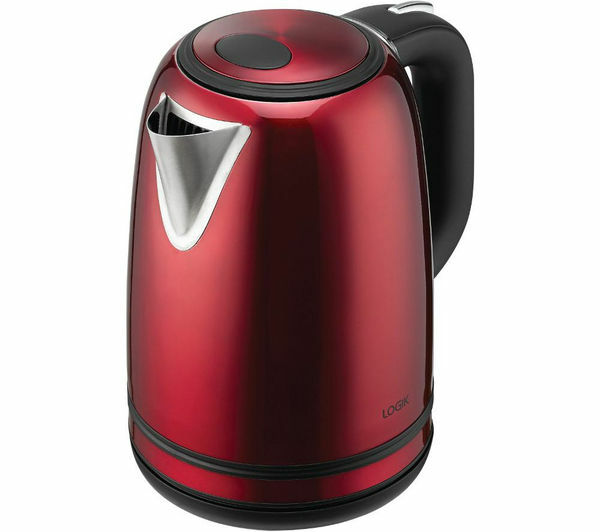 With 3000 watts of power, the Logik L17SKR14 Kettle will have boiling water ready for you to use in no time at all. What's more, the integrated anti-limescale filter will provide you with great tasting beverages every time. 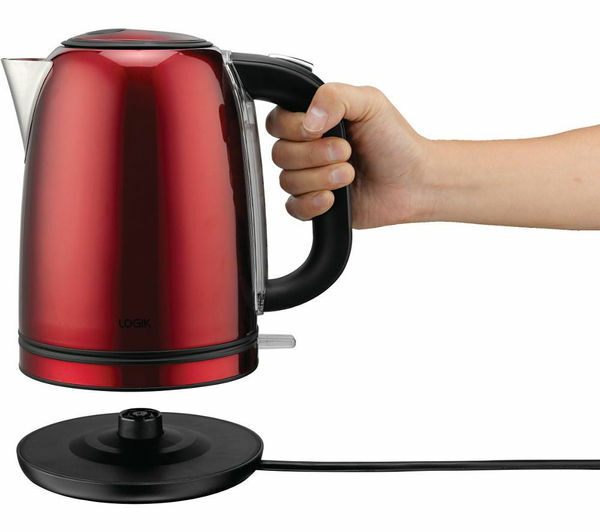 This contemporary kettle features a large 1.7-litre capacity and a water level window that makes it easy to see when the kettle needs a refill. A 360-degree rotatable base and a slow-release lid add to the practicality of the Logik L17SKR14. 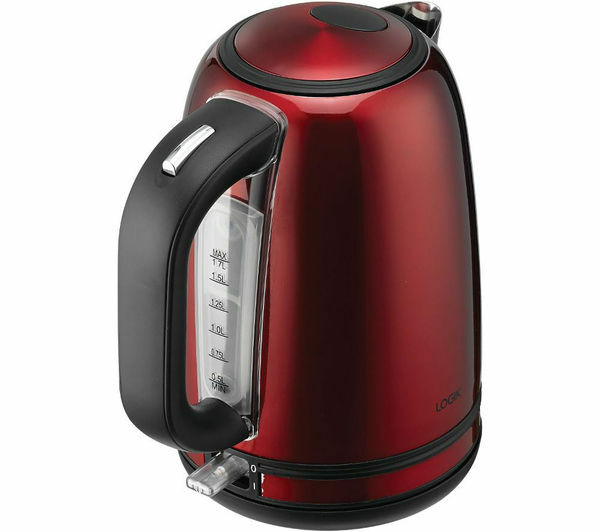 For your convenience, this kettle also comes with integrated cord storage and you can complete the set by purchasing the matching red Logik L04TR14 toaster. 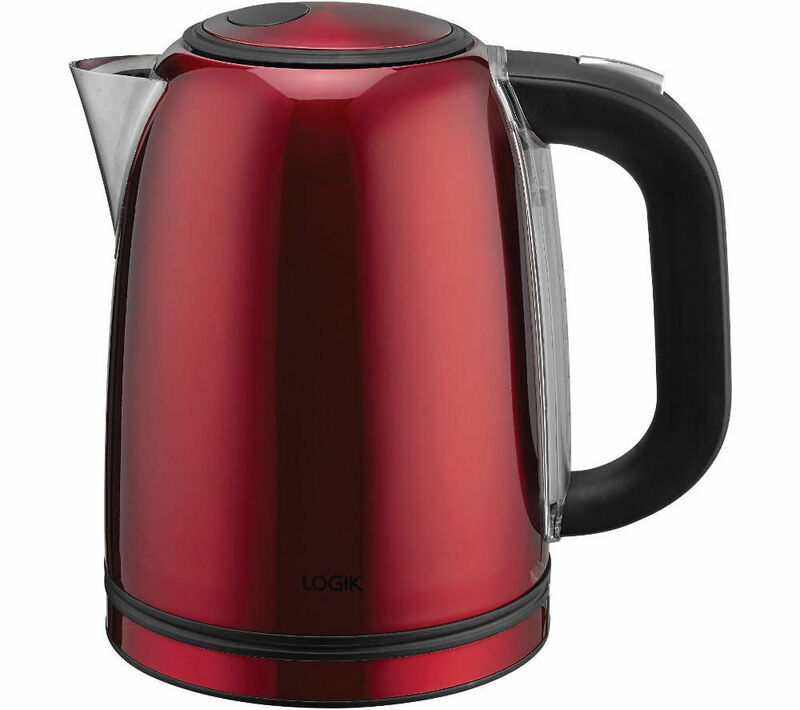 The Logik L17SKR14 Jug Kettle is a modern and robust appliance that every hot drink lover can rely on. For more peace of mind, add an Instant Replacement Plan – our dedicated Repair & Support Plan for items under £150. Learn more about Instant Replacement Plans. For an item you're ordering for delivery, or are sending to store to collect, add an Instant Replacement Plan in checkout. For an item you're reserving at a store with stock, add an Instant Replacement Plan in store when you collect. Compare prices of extended warranties for electrical goods at www.compareextendedwarranties.co.uk from any internet enabled mobile device, smartphone, PC or laptop.